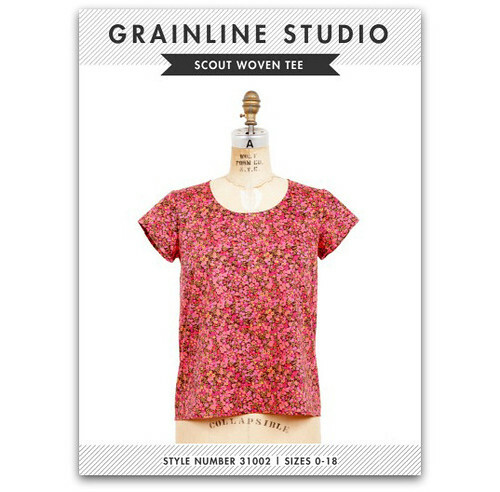 Like others I've been a little obsessed with the patterns from Grainline Studio. 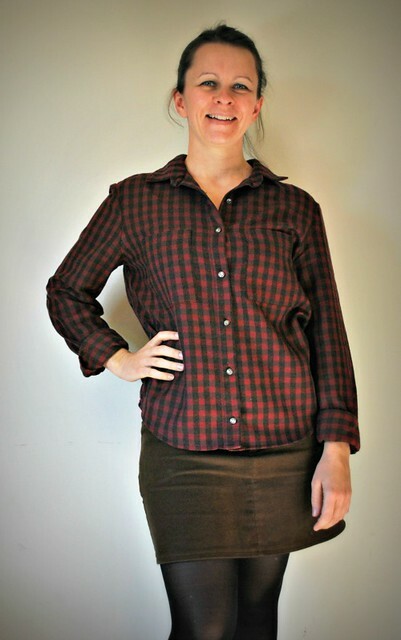 I made a dress from the Scout Tee pattern a short while back and it has been on regular rotation in my wardrobe so far this winter. After such a great experience with the Scout Tee pattern I bought both the Archer shirt pattern and the Moss skirt pattern. When I first sewed up a test Scout back in late December my bust measurement was almost 2 inches smaller than it is now. A slight change in body shape from cycling more often and regular gym visits has put me out of sorts with sizing. I can no longer be lazy and cut the size I always have and the alterations I would have usually made have changed too. Add that to the difference in sizing charts for different patterns and I'm having to put in a bit of work to figure out my new 'go-to' pattern sizes. For the Scout dress I cut a size 4 adding extra room in the back and made in jersey this was the perfect fit. According to the chart my measurements now vary between a size 8 and 10 which is a huge difference to what I cut for the Scout Tee but I now know that if I sew the Scout in a woven fabric I will need to cut a 6. I decided to make a wearable muslin for both the Archer shirt and the Moss skirt using remnants of fabric from my stash to test the size. Both turned out too large. 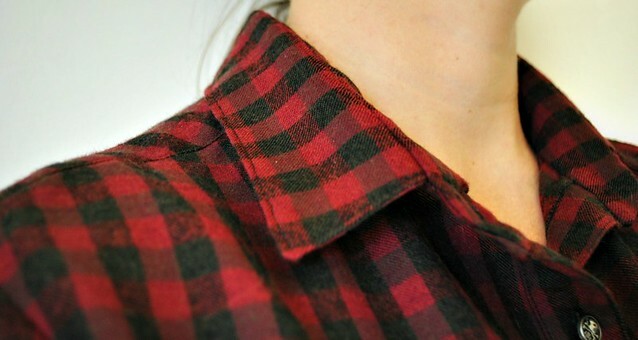 For the shirt I used a remnant of checked wool of which there was just enough so not all the checks match. I used Jen's fantastic step by step tutorial when making it up. If you're planning to sew a shirt you should really take a look at it. The finished shirt is a little boxy for my liking and the sleeves are too long so for my next version I will cut a size 6 and will shorten the sleeves. 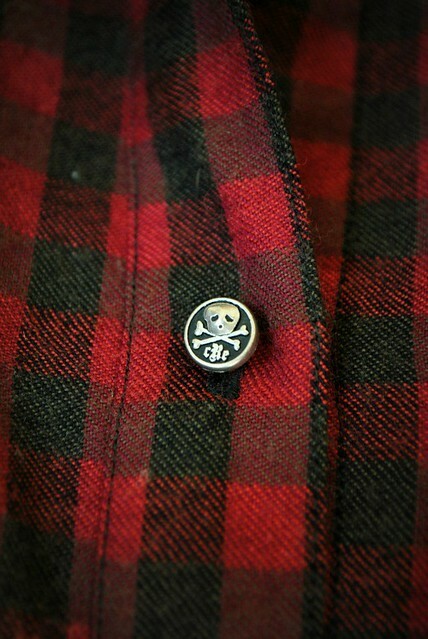 I planned to use plain black buttons but these skull and cross-bone buttons from Tessuti were perfect! For the Moss skirt I used a piece of fabric with a velvety finish and a little elastane that I had bought as a $10 roll last year for just this purpose. 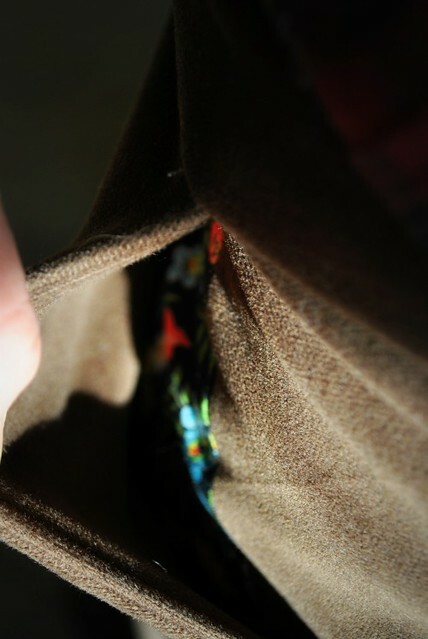 A recycled zip, a scrap of Liberty for the pocket lining,a button and thread from the stash and I have a finished skirt that cost a dollar or two to make. It turned out too large but I trimmed it down before attaching the waistband. Like for the Archer shirt I'll be cutting a size 6 next time. I've worn the skirt about 3 times since finishing it and the fabric has stretched a little in the front seam and the pocket openings which are cut on the bias. This may be due to the elastane in the fabric but a little fusing in those stress areas may help stop this happening next time. The instructions for inserting the fly zip are the best I've come across, my fly turned out pretty much perfect. I will be using it for any future fly zips. I will most definitely be sewing both again. We have one spot left in the Scout pattern class this Saturday. Get in quick if you'd like to make your very own version.